Editor’s Note: This article is part of an ATG Special Issue on author support. Chris Morrison is Copyright, Software Licensing and IS Policy Manager at the University of Kent, responsible for copyright policy, licensing, training and advice. He was previously the Copyright Assurance Manager at the British Library and before that worked for music collecting society PRS for Music. Along with Dr Jane Secker he is co-author of the second edition of Copyright and E-learning a Guide for Practitioners (Facet), and with Jane co-founded the award winning copyrightliteracy.org blog. 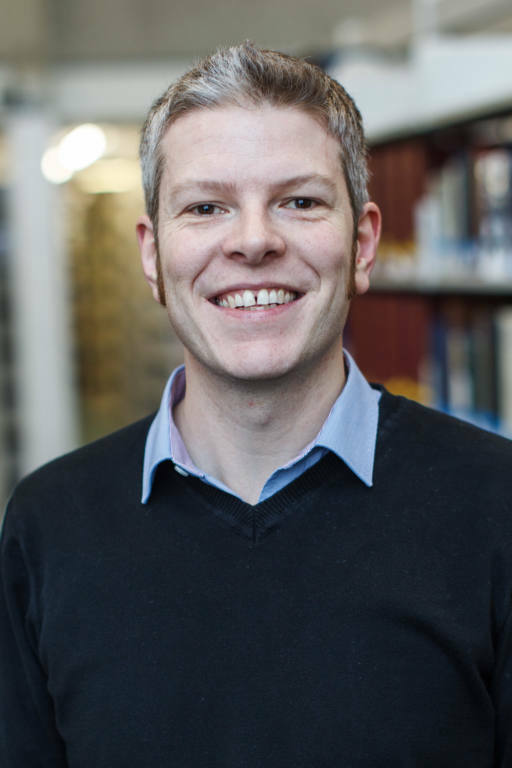 Chris is a member of the Universities UK / Guild HE Copyright Negotiation and Advisory Committee, has a postgraduate diploma in copyright law from King’s College London and is currently undertaking a Masters research project into the interpretation and application of copyright exceptions in UK higher education. Dr Jane Secker is Senior Lecturer in Educational Development at City, University of London, where she teaches on the MA in Academic Practice. She is the former Copyright and Digital Literacy Advisor at LSE where she coordinated digital literacy programmes for staff and students including copyright training and advice. She is Chair of the CILIP Information Literacy Group, a member of the Libraries and Archives Copyright Alliance and the Universities UK Copyright Negotiation and Advisory Committee, which negotiates licences for the higher education sector. She is widely published and author of four books, including Copyright and E-learning: a guide for practitioners, the second edition which was co-authored with Chris Morrison and published in 2016 by Facet. We are Chris Morrison and Jane Secker and we are on a mission to educate the academic community and the wider public about the importance of ‘copyright literacy.’ We believe that copyright and licensing have a major impact on access to information, the dissemination of knowledge and ultimately on human creativity. Our partnership started in 2014, when we undertook a survey to investigate the levels of knowledge about copyright in the library and cultural heritage sector in the UK (Morrison and Secker, 2015). Over 600 people responded to the survey and because it was part of a multinational study, we were able to compare copyright literacy of UK librarians with other countries (Todorova et al, 2017). The findings suggested that confidence and levels of knowledge about copyright amongst UK information professionals compared favourably with other countries. UK libraries and cultural heritage organisations were also more likely to have a dedicated copyright specialist. However, we found copyright was a source of anxiety, and that more could be done to embed copyright into education and ongoing professional development for librarians. Since then we have undertaken further research and presented at international conferences, such as IFLA and the European Conference on Information Literacy (ECIL). Around the same time we began our research we were also tasked with developing some training for university librarians. The training was delivered in 2014 to update academic librarians on changes to UK copyright law, following the Hargreaves Review of Intellectual Property. Several amendments had been made to the law, including important new exceptions for education and research. Inspired by colleagues we decided to try using a games-based learning approach and ultimately developed a game that we released as an open educational resource called Copyright the Card Game. The game is based on UK law, but a US edition has also been developed, a Canadian version will be released at the ABC Conference in May 2018 and the Australians are also currently working on a version. The game is also being showcased at the EBLIDA Conference in Strasbourg in May 2018 with the idea of encouraging other European countries to develop their own editions. The research into different aspects of copyright literacy led us to create a website and blog to host our resources and to consider other creative approaches to copyright education. In October 2017 after over 18 months of development, we launched a board game about copyright, licensing and scholarly communication called the Publishing Trap. The game is aimed at academics, research students and early career researchers and is designed to help players consider the choices they make about copying and licensing as they progress through their academic career. Unsurprisingly, the Publishing Trap is proving popular with academic librarians and information professionals who work in the research support and scholarly communications fields. However, unlike Copyright the Card Game it has international applicability, not relying on national laws or policies, but academic culture more broadly. The Publishing Trap has been called the ‘Academic Game of Life’ although it takes the inspiration for its name from the classic board game Mouse Trap. Following the career of four fictional academic characters, players learn about the relationship between knowledge, impact and money, which are the currency of the game. They come to see how the choices they make about their own and other people’s intellectual property are in fact central to their academic success. The game was launched to last October celebrate Open Access week and since then there have been over 2500 visits to the Publishing Trap web page. It has now been downloaded and played by people from around the world. Why did we create the Publishing Trap? As copyright specialists we were increasingly being asked to provide guidance to researchers about issues related to open access, publishing and the evolving scholarly communications environment. PhD students in UK universities are now typically expected to deposit their theses in open access repositories. They may be expected to make decisions about the copyright status of content they include in their thesis, as well as the licences they apply to their work, such as Creative Commons. They also need to understand how these decisions might impact on their future career. For example, do they try to publish in high impact journals to boost their impact factor or do they publish on principle in open access journals to ensure their research has the maximum benefit to the wider world? What should academics do when asked to clear the copyright in other peoples’ images they want to use in a published monograph? And what happens when researchers want to re-use data from an open data set? All these questions are real issues that academics and early career researchers are facing today, and it’s a complex picture with no right and wrong answers. We’ve had many discussions about how to embed copyright literacy across higher education institutions. We wrote an article in 2015 about how we found it helpful to view copyright education as part of wider information and digital literacy teaching, rather than to treat the issues in isolation. However, we were aware that the academic community find it hard to engage with copyright and view it as a problem. They also often consider copyright issues after they have published or shared their own or others’ work, by which time they may have assigned their rights elsewhere or embedded content into their work. For people who produce intellectual and creative outputs every day and make their living sharing their knowledge, it is a problem if they don’t have access to engaging information and resources to help them understand issues related to copyright and other aspects of intellectual property rights. In our experience PhD students typically have low levels of understanding about copyright and the ownership of the data and knowledge they are using and creating. We really want to try to address this issue and find a way of engaging them in copyright education. In the UK there have been efforts to create engaging resources on copyright, for example the website, CopyrightUser, which is aimed at both creators and users of copyright material and uses visual imagery and accessible language. We wanted to build on this type of work. Chris first came up with the idea, inspired by attending a games-based learning event in Leeds organised by Andy Walsh (@playbrarian on twitter) from the University of Huddersfield in November 2015. His idea was to create a model that explained how knowledge and money flowed between research institutions, publishers and academics, and then the impact this had on the wider world. We decided to try to bring this idea to life by entering Lagadothon, the games competition held at the LILAC conference in April 2016. By the time of LILAC 2016 we had a prototype game which explored the decisions a PhD student might make, such as whether to embargo their thesis and whether to apply a creative commons licence. We were thinking at this stage of using a ‘choose your own adventure’ approach but we had come across the challenge of creating multiple, potential story lines, and we still hadn’t developed the scoring mechanism. However we had come up with the basic currency types in the game of ‘money’, ‘impact’ and ‘knowledge’. Even though the idea had yet to be properly developed (we had a large board, a lot of arrows fixed to it with Velcro and a stash of chocolate owls to bribe the judges), we received the runners up prize. We did further work over the next few months and subsequently Jane came up with the idea of following the lifecycle of an academic, who completes their PhD and progresses to the pinnacle of their career as a professor in their field. It was a long process to create a board game and we have both learnt a lot about the game design. We had invaluable input from playful learning experts Professor Nicola Whitton at Manchester Metropolitan University and Alex Moseley at the University of Leicester. They tested an earlier version of the game, giving us a framework for approaching game design, encouraging us to focus on the learning. We went back to basics, creating clear learning outcomes for the game and considering how best to structure the decisions people have to make. A crucial decision was to agree that players should be in a team and take on a persona or character to play the game. Creating our four academics: Mary the astrophysicist, Simon the Jane Austen scholar, Misha the criminologist and Brian, the microbiologist was a lot of fun. Any resemblance to any individuals living or dead is of course unintentional! And spurred on by the considerable interest in our game in September 2017 we enlisted a graphic designer, Lisa Johnstone, to turn our hand drawn board and clip art icons and characters into original creations. The game is divided into five rounds which broadly correspond to the academic lifecycle. You start out as a newly completed PhD student, play a round as a post-doctoral researcher, then a junior lecturer, senior lecturer and finally become a professor. Along the way you can improve your skills through decisions you make. You also have to draw ‘wildcards’ at certain points that add an element of chance into the game, and contain some rather controversial scenarios, from being accused of plagiarism to having to deal with warring academics in your faculty. The ultimate aim of the game is at the end of your life to be judged on your academic legacy – are you heralded and celebrated in your field through a building named in your honour, or do you die in academic obscurity? We have been clear that despite the scoring mechanism, there is no one way to ‘win’ the game and players need to think hard about balancing the need to generate income and secure funding with measuring impact and creating and disseminating new knowledge. Academic success is a many and varied thing and we hope through playing the game we help new researchers recognise this and make choices that are aligned to their values. Getting feedback throughout the process has been really important. We’ve had input from many librarians, which is really helpful given their knowledge of the issues that academics and PhD students face. We also know the game has international appeal and have had feedback from colleagues who’ve played the game in the USA, Australia and parts of Europe. Last August we had the opportunity to show off a prototype version of the game at the World Library and Information Congress (IFLA) in Wroclaw, Poland as part of an event on Copyright Education. We also played the game in early 2018 with colleagues at the University Library at Cambridge and the British Library. It has been really important to play the game with academics and researchers as they are the intended audience, and we’ve collected feedback along the way to help us refine it. We would recommend anyone looking to create a game to spend some time playing games too, as we considered elements of existing games such as Monopoly, Guess Who and Risk along the way. What next and how you find out more? We’ve been invited to present at several upcoming conferences, including the DARTS conference in May 2018, the EBLIDA Conference in Strasbourg in May 2018, the German Library Congress in Berlin in June 2018 and the ReConEvent in Edinburgh in June. Several Australian universities (supported by Creative Commons New Zealand), are looking to adapt the game for their use as part of open access training, and a group of German librarians have created a German translation that will be revealed in Berlin. We showcased the game at our one-day copyright education conference, Icepops (International Copyright Education with Playful Opportunities for Practitioners and Scholars) which was held on 3rd April 2018 at the University of Liverpool and also ran a masterclass on the Publishing Trap at LILAC. We hope to use all the feedback to date to inform future iterations of the game and have a number of areas we hope to improve when we launch the next version of the game, most likely in early 2019. In the meantime if you want to find out more about the game and to download it, it’s licensed under Creative Commons and available from our website copyrightliteracy.org.